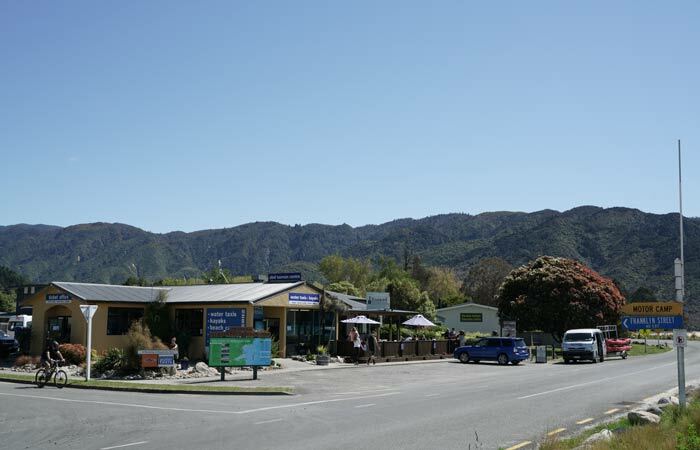 Let us help you with any questions regarding your accommodation here in Marahau, next to New Zealand's beautiful Abel Tasman National Park. In order to confirm a reservation, we require a current credit card number (with expiry date) as a guarantee. If we are unable to re-let the accommodation then cancellations made less then two weeks prior to arrival date will forfeit full cost of the booking. Cancellations made between two weeks and four weeks prior to arrival will forfeit 50% of the total booking. Cancellations made more then four weeks prior to arrival date will not incur any penalties. 'No shows' will be charged 100% of the applicable rate of the total stay. Bookings are not confirmed until a credit card number with expiry date is received. Your credit card will not be charged unless you fail to check in or you cancel without sufficient notice. Should accommodation booking be cancelled prior to or during the period of the reservation, then we will endeavour to re-let the accommodation and if able to do so then all nights re-let will be refunded. Smoking: As this is a smoke free complex please smoke outside away from open windows, doors and other guests, especially children. In the event of someone having smoked in the room we will engage a specialist cleaning company. We reserve the right to charge such costs and any resulting loss of income to the registered guest. We recommend that you have travel insurance to cover cancellations. Due to our intimate size, any cancellation affects us significantly. "11 out of 10! Perfect."